Our professional technicians do the best job possible. There are so many carpet cleaning companies, what makes yours better than the rest? 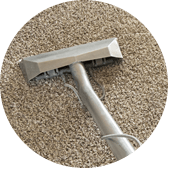 Looking for carpet cleaning in Colorado Springs? 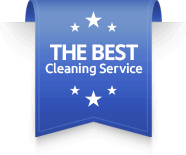 We understand there are a lot of carpet cleaning companies, but how do you choose the best? Most carpet cleaning companies just use extraction wands that only clean from two directions. This does a good job, but some carpets need a deeper cleaning. Angie’s prefers using a much more advanced machine called the Rotovac® 360. 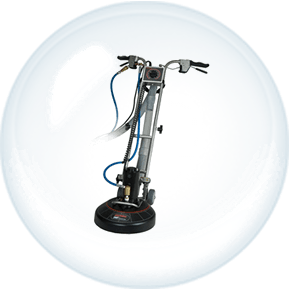 Instead of only cleaning your carpet from two directions, the Rotovac® 360 cleans with a spinning motion which maximizes cleaning efficiency. This rotary cleaning tool is great for high-traffic areas like hallways and in front of the couch. Click this link to watch it in action. Our work is guaranteed. If you think an area needs more attention, we will happily return and re-touch that area for you at no charge for up to 30 days. If you would like a 1 Year Spot and Stain Warranty, that is available when you have us apply SCOTCHGARD carpet protector. So what are you waiting for? 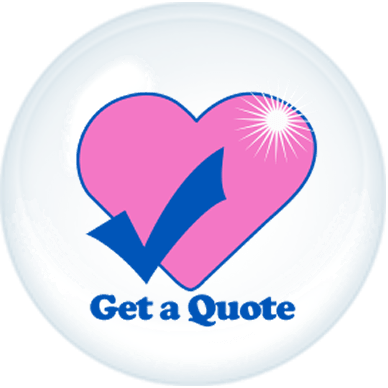 Call us to schedule your cleaning or to get a free estimate. I get it… you have fancy cleaning technology, but how are your employees? Our highly trained cleaning technicians are IICRC certified. We also send all of our technicians to school so they understand the science of carpet cleaning. Many other companies try to train on the job, with no formal education or certification. 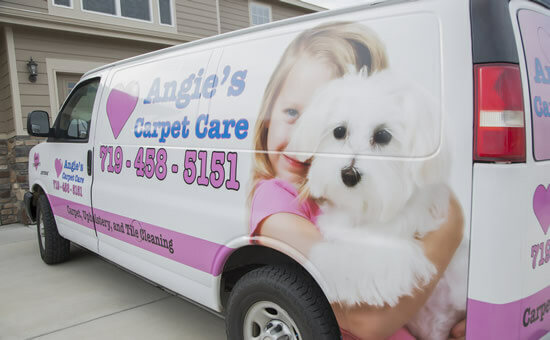 Angie’s spends the time and money to make sure our cleaners are better trained than our competitors. Due to their extra training, our experts commit to extra drying passes to ensure that carpets dry quickly. Our technicians will also use corner guards to protect your walls from being damaged by hoses. 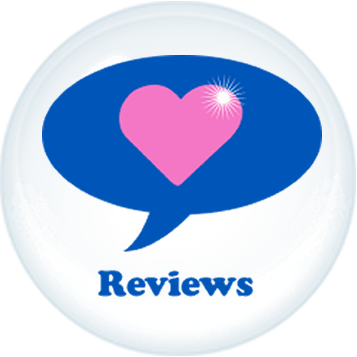 Angie’s employees are paid well and do not have to rely solely on commission. While we will make suggestions, you can be assured that there will be no high pressure sales tactics. That’s good to hear. Do you offer any other services? We’re glad you asked. 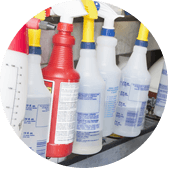 Angie’s provides all your cleaning service needs. For example, we can give your ceramic tile flooring a new and shiny look. Moreover, our company also specializes in upholstery cleaning and fine area rug cleaning. If your pets have made a mess, we can get out the stains and odor with our 3-step pet urine stain and odor removal process. Did the kids spill juice on the floor? Was the Sippy Cup really a Drippy cup? Our business trains experts in dye stain removal. Additionally, we also dye carpet if a bleach spill has removed the color. If your business has Vinyl Composite tile (VCT) we can strip and refinish it, giving you a nice shine to impress your workers and customers. Give us a call if you have any questions. Here to Help You… Get Clean Carpet!